US rally fans, myself included, often complain about the lack of media coverage at stage rally events. In the Rally America Championship we’ve seen it go from the well funded days of a satellite truck with live video and interviews to waiting multiple hours for times to get posted and maybe the occasional Facebook post. There have been some recent improvements with the occasional Facebook live stream and Jim Beaver’s service park interviews with the top few, but it’s still a far cry from what many of us fans think media coverage should or could be. Over at NASA Rally Sport they do a more effective job of YouTube live streams, tweets, Facebook posts, etc…at least when Anders isn’t busy competing himself 🙂 . They’ve come closer to what we might consider to be proper media coverage, but it is still lacking. 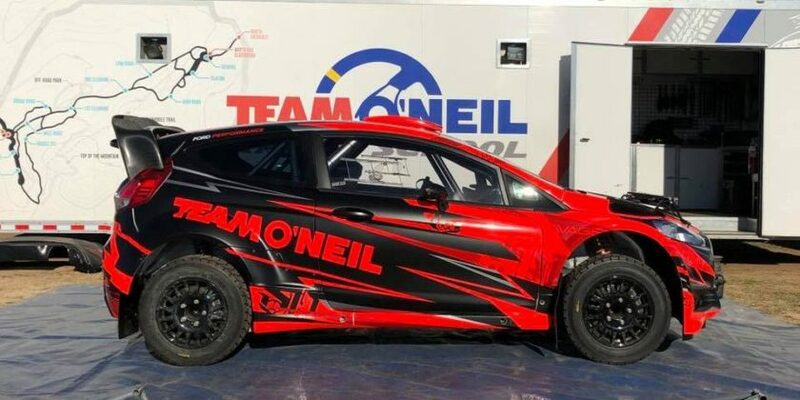 In comparison, take a look at what they did up north with the Canadian Rally Championship at the Rally of the Tall Pines last weekend. The CRC already does a great job with their TV product with gorgeous imagery and a great summery of the event. We even get to see it here in the states via YouTube, but many weeks after it has released on Canadian TV. The TV product is great, but what made Rally of the Tall Pines the best I’ve seen so far was following all the goings on from the rally live. In addition to the TV product we’ll all see later, two other media groups covered the event live with radio and video streaming. Between the CDNRally media team and the separate, but complimentary Rally of the Tall Pines media, I felt like I was virtually there! So what did they do right that US rally sanctioning bodies and organizers can learn from? First of all you could see how important the media aspect is to their series/event. They had a media tent setup with large screen TVs that showed all the times from all the stages for all the teams and the live tracking map thanks to their use of EZTrac. Anyone could walk in the tent, grab a seat and get status updates. The CDNRally media team also has their CDNRally app that shows stage times (provisional) and standings (official) that is updated much more quickly than anything we’ve seen stateside along with the aforementioned live tracking map of all the cars on stage, and a social media feed. The best part of the app? For those like me that enjoy rally interaction, it was the CDNRally Radio hosted by James Drake, which was brilliant. Not only did James give detailed accounts from the service park along with stage times as he saw them come in, but he also gave personal insight from his knowledge of the teams, stages, weather, and road conditions. James interviewed drivers as they came into service, and when I sent a Tweet asking about what tires teams were using (ice vs. snow tires), James was on the radio checking the tires of every car in line at the the time control in minutes! Talk about great fan interaction! It just got better from there. Rally of the Tall Pines had Promotion Car driven by well known rally competitor/personality “Crazy” Leo Urlichich who live video streamed as he ran in advance of the competitors through some of stages and described every bit of it from the fast and slippery bits to the technical sections. It was beyond brilliant! Now we fans could see what the drivers would have to experience before they ran through it! That wasn’t the end of it as the Tall Pines media crew headed by Lawrence Partington had a live video stream with a professional camera and microphone at the end of many of the stages. Just like in the WRC, it was live stage end reporting with provisional times and driver reactions. Of course we know that the nature of rally doesn’t allow for this kind of live video or radio all the time, as radio or cell signals play a huge role, however they made it work where they could and it was professionally done and entertaining. I think what made this the best media coverage I’ve seen yet in North America, wasn’t just the different ways I could conveniently follow (CDNRally app, radio, Facebook live streams, etc. ), but the commentators and personalities themselves. 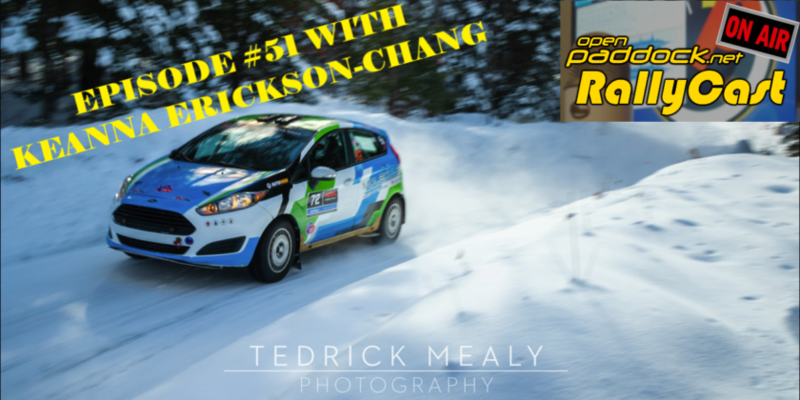 Between James Drake and his crew at CDNRally Radio and Lawrence Partington and the Rally of the Tall Pines Media group, these guys added an excitement and knowledge that made it enjoyable to follow. You could tell that they have either competed themselves or have been around the sport a long time. One of the keys to making any motorsport interesting is having personalities that are passionate about the sport that can communicate their knowledge and passion effectively to their listeners/viewers. And we fans can tell when commentary is faked or full of lame clichés (Jon Desborough’s WRC TV coverage comes to mind). The best communicators are able to convey the technical aspects of what’s going on without treating the audience as stupid and at the same time make it fun and interesting. Colin and Becs of WRC Live Radio are a perfect example of great commentary chemistry, or Leigh Diffey, Paul Tracy, and Townsend Bell on NBCSN IndyCar coverage. We fans come for the racing, but we stay for the people. That includes not only the drivers, co-drivers, and teams, but also those in the media that cover the sport. Thank you to the Canadian Rally Championship media, CDNRally media, and the Rally of the Tall Pines media for your extensive coverage and showing us what is possible. Even though each of these media teams are independent of each other, they complimented the the event itself with the winner being the rally fan. Rally of the Tall Pines was obviously an exciting event, all the more so because of how you kept us fans involved. This is how rally should be covered all the time, and I hope this is a glimpse of what we may see in the not too distant future at other events. EZTrac was utilized, a system developed in North America by Mark Williams, not RallySafe, FYI. There are substantial differences, cost being the primary one. I’ve been participating in rally in North America for 10 years as a competitor, 12 years volunteering. The only event that has come close to Tall Pines 2016 was when Lawrence Partington and crew at TV2GO did actual, honest to god live TV coverage on stage with split times at a previous Tall Pines. This was a standout performance! Mike, thank you for the compliments but I’d like to add a few names. In any broadcasting endeavour the on-air talent gets the credit but they are just the visible tip of the iceberg. Eric Sladic was the Tall Pines volunteer social media director. Kelly Matthew and Peter McDonald were the brains behind CdnRally.com. Professor Claude Gariepy who spent over 20 years with me televising CARS, Rally America, X Games and GRC is now teaching at Loyalist College. Once again he spun Tall Pines into a school field trip and brought along two of his talented 2nd year students: cameraman Simon Sheehan and audio op Steven Aquino. Mark Williams’ brilliant EZTrak system is the technical glue that makes live reporting possible. It gets better every year and this North American system should be supported. Finally, Ian Wright, Ross Wood and their army of volunteers makes Tall Pines the best-organized rally on the continent. You can’t schedule a live broadcast for a specific time if you’re not confident the cars will show up on schedule. At Tall Pines I never worry. The CRC TV coverage has never been better, but in the age of Twitter real fans want live coverage while sponsors want conventional broadcast. It’s a difficult and expensive balance to strike. Thanks Lawerence. I apologize for getting the media providers confused and I updated the article. And even though CNDRally, CRC’s own media, and Rally of the Tall Pines were all working independently, you also complemented each other and showed us what was possible if a North American series had a big enough budget to do it all under one roof. FYI – Crazy Leo wasn’t in car Zero – Car Zero was Stephen Deneka, but Leo was operating a promotional car helping us to bring more media and viewers to the event and to advertise his own advanced driving school Race Lab. CDNRally Radio hosted by James Drake. James did an outstanding job of that. Even as competitors we were streaming James’ commentary on transits. Definitely a real plus.